Fish cutlets in Indian style made with tinned tuna fish chunks. Tinned fish is easily available in the market and can make it easy for dishes to be prepared. One of my friends who is from Kerala shared this recipe with me which her mother used to make for her. This fish cutlet has become so popular among my friends and as soon as they taste it, the only thing they ask is for the recipe. Meen pollichattu is an authentic Kerala dish. Meen means fish and pollichathu means burnt/fried. Meen Pollichathu is prepared by frying the fish, then wrapping in banana leaf with a spicy onion masala and fried/roasted again with banana leaf on a pan/tava to get that fried and burnt flavour of banana leaf. The fish usually used in Kerala is the pearl spot fish (karimeen), but I have used whole pomfret fish instead. You can use any firm fish. Meen pollichathu is a Kerala delicacy found in most of the fine restaurants and also in the house boats that you will find in the backwaters between Kollam and Alleppy (Alappuzha). Meen means fish and pollichathu means burnt/fried. The fish most commonly used in Kerala is the pearl spot fish (karimeen), which is abundantly available in the backwaters. 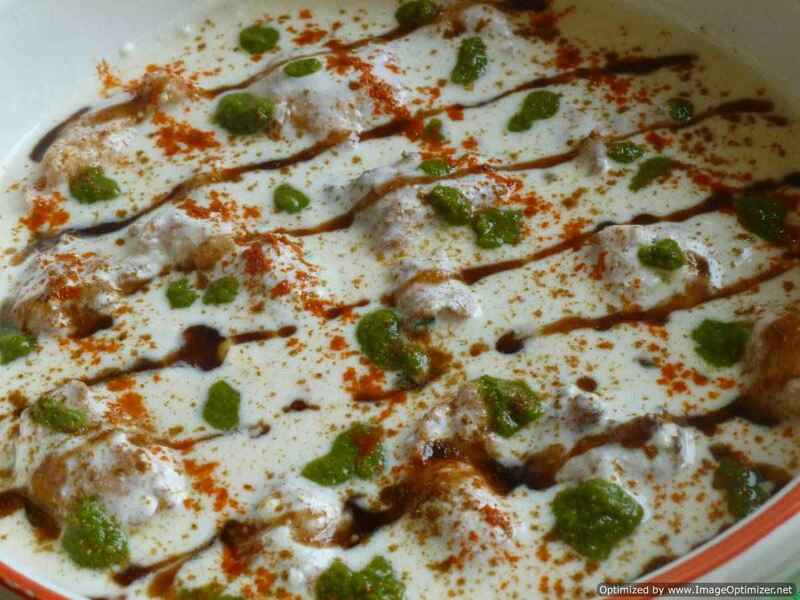 Patra ni Machi is a popular dish in the Parsi cuisine. 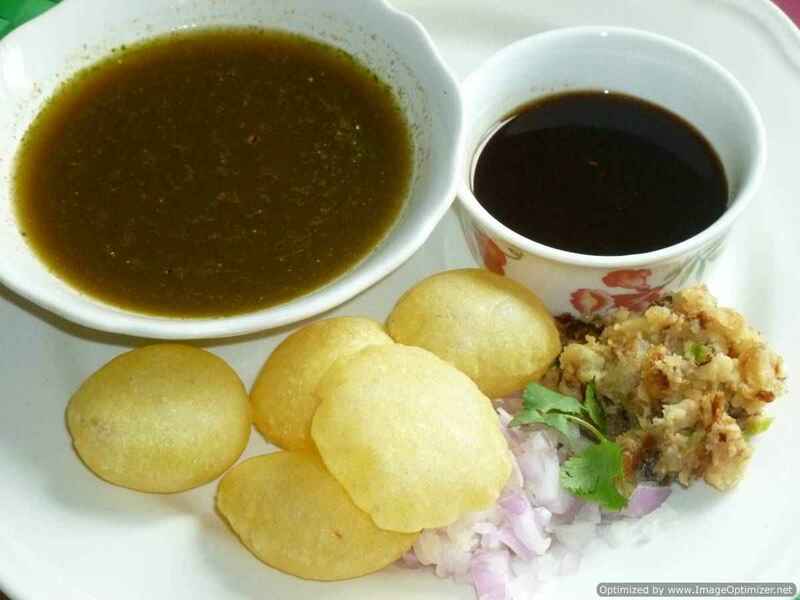 You will find this dish in every ceremony or celebration. Patra ni machi is a mouth-watering dish – fish coated with green chutney (made from coriander leaves, green chillies, coconut, cumin seeds and lemon juice), wrapped in banana leaf and steamed. I have used whole pomfret fish and also individual steaks. Crab pepper fry is a South Indian (Tamil Nadu) seafood delicacy, infused with fennel seeds powder and black pepper powder, which makes this crab dish mouth-watering and packed with flavours. You can guess from the name itself, Crab pepper fry (Nandu milagu varuval), that it is peppery and hot. Crab pepper fry is not completely dry but is semi dry with thick gravy coated on the crab. Sankara meen varuval (Tamil)/Red snapper fish fry is a very popular and frequently cooked in South Indian style in our home. We always use sankara, which we call Aarass ki Macchi at home, more for frying purpose; very rarely we use it for curry. Fish fry is very popular dish and cooked in varieties also. Each house has their own recipe of fish fry. Chettinadu fish fry (Chettinadu meen varuval) is very famous in south India and you will find this in every chettinadu restaurant menu. In Chettinadu cuisine, special spices like nutmeg, black stone flower and fennel seeds are used and are quite important in the cuisine apart from other spices. This is my family’s favourite fish fry. When we order any fish fry in a restaurant, they serve only one piece of fish fry but it will be big in size, a thick fillet served with onion rings and lemon wedges. Vanjaram meen varuval (king fish fry) is very famous in south India and you will find this in every restaurant menu. In my mother-in-law’s house, if fish fry it means first it has to be vanjaram fish (king fish), then sankara (red snapper) and other fish. Vanjaram fish is a firm fish and has one bone and is easy to eat also. Vanjaram fish fry tastes delicious. 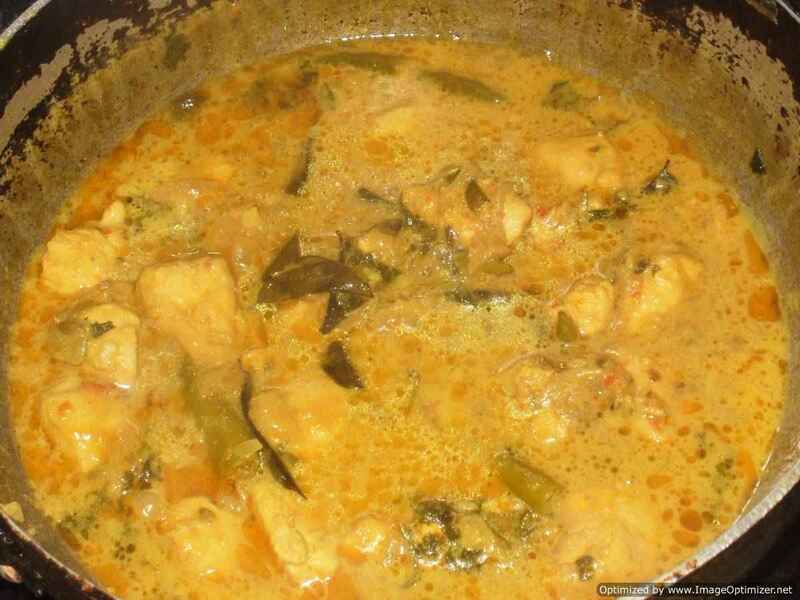 I have already shown many fish fry recipes, which you can try with vanjaram fish also. This Salmon fish fry recipe flavoured with ajwain (carom seeds) and garlic powder gives you a different taste from my other fish fry recipes. I have used garlic powder instead of garlic paste. In this fish fry, salmon is marinated with roasted ajwain seeds or crushed powder to give more in-depth flavour and aroma. This recipe was shared by one of my friends who made this salmon fish fry as a starter. Delicious fish fry from Andhra ,Chepala vipudu(fish fry). You can use any firm fish (fresh water or sea water) like sea bass, rohu, carp, king fish (Vangaram) etc. I have used 4 thick medium size pieces. Everyone has their own fish fry recipe. I keep trying with different spices for the fish fry. Tandoori prawns (tandoori jhinga) traditionally cooked in clay tandoor in restaurants, but it can be equally enjoyed at home by cooking in our oven or on barbeque or on grill. The big prawns (jhinga) are so meaty and when grilled or cooked in tandoor, it is very appetising, delicious and can not resist. Nethili (anchovies) a very famous and tasty fish in Chennai (Tamil Nadu) and other places south part of India. In Chennai some of the famous restaurants it is served like Pandayas, Anjappar, Velu military hotel and many more, where ever you get Nethili fry. It is eaten fresh or dry ones, but in other countries, supermarket we can found it in tins or jars also (soaked in oil), it’s used in Italy, UK, Malaysia, Japan, Indonesia and other parts of the country. 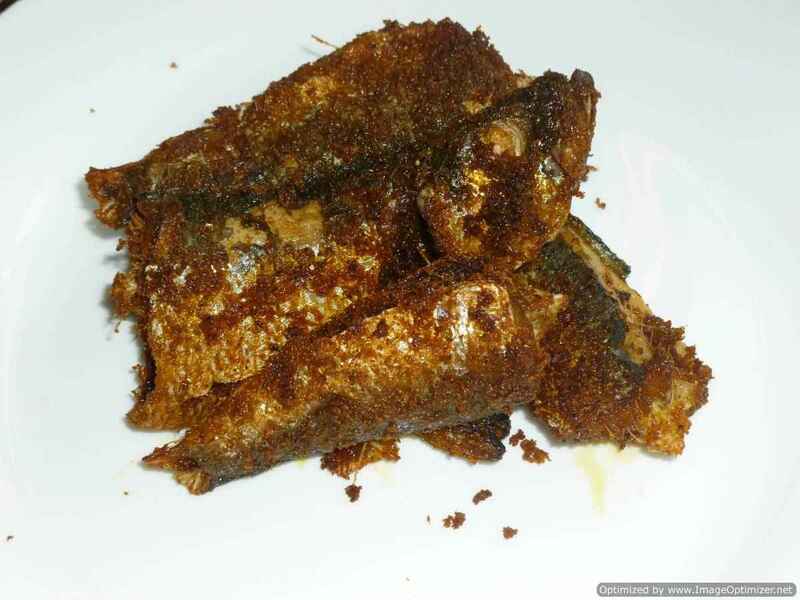 Herring fish is similar like sardine(mathi meen in tamil), often people get confused for sardine and herring fish. When they are young and small, these fish are called as sardine(mathi meen in tamil) and when they are older and big they are called as herring fish. Herring fish is not as popular as sardine. Can get from any local fish mongers or in super stores. Jhinga or prawn fry is a very tasty and delicious dish and should be a favorite for a lot of people and so is for my husband. In each house they do it differently with the spices. In fries especially, oil usage is more as, we are roasting it, oil is needed, but it is up to you to use or avoid it. In roasting I use kadai, which we can scrap and stir well, but not in non-stick, but you can use non-stick to avoid oil. Fish fry is such a popular recipe that it is available every where near the shores and the restaurants. In Chennai, marina beach, if you visit, you can see the dewellers selling fish fry, with varities of fish. They give you bread to accompany it, but it is not needed, just like that can be eaten. Though I have given the name kerelan style baked pomfret fish but in kerela it is popularly known as meen pollichatu. 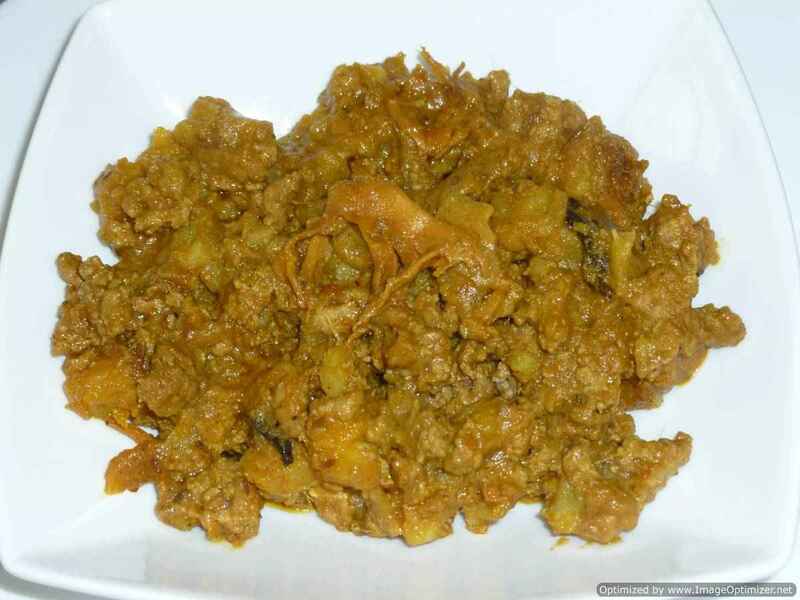 This dish is an authentic kerelan dish. The fish usually used is pearl spot fish (karimeen) but I have used this time pompfret fish. In meen polli chattu fish is fried and then wrapped in banana leaf with a special masala and it is cooked again on tava. Indian style baked sea bass – I got this idea when I was watching some English food show in which fish was baked with breadcrumbs in aluminium foil. So I thought of baking the fish with Indian spices in aluminium foil. The fish was so moist and juicy after baking, you will really like it. You can add your own ingredients in this. In this you can use ordinary onion also and while adding mustard seeds, you can add dry chillies and curry leaves and even other ingredients. As I have stayed near the coastal place in Chennai, all my life, and visited the fish markets with my mother in my childhood. I used to see my mother buying fish from the market and coming home cleaning it and making curry out of it and fry also. The fish used to be very fresh and its gill will be pinkish or reddish in colour. The identification of fresh fish is to see its gills and its eyes should be firm and open. Fish fry we often found in many restaurants and at homes also, but dry fish fry , only those who like it ,they cook at home. The fish is very salty as it is marinated in a salt and left to dry in the sun like how we do for pickles. It is not eaten like any fresh fish at our home, few pieces of fish is enough, like a pickle it is eaten with other side dishes. If dry fish is fried , it can be eaten with simple dal and rice. It is cooked without adding salt and chilli to it. It is a very simple and easy dish. 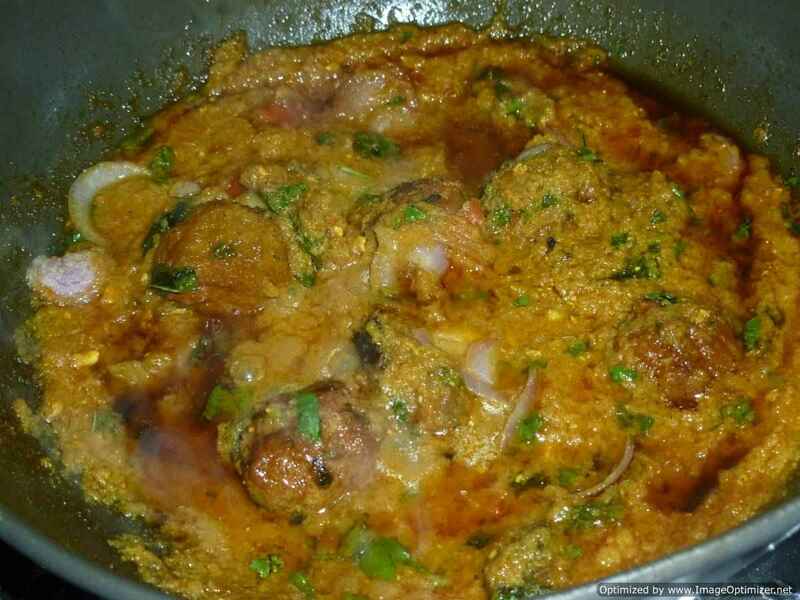 Khar is a very spicy and hot dish made with green chillies, onion and dry fish mixture. Khar is a very homely dish from my home town Anantapur (Andhra Pradesh) my grandmother, relatives and my mom prepare this at home, but with different techniques. My grandmother prepares khar with pestle mortal and mother with grinder or mixer, both gives different taste though same ingredients. khar is a very homely dish very spicy and hot dish , not available in restuarants my father always demands for this dish , whenever he visits his mother’s house. The most favourite, tasty and delicious is era varuval (in Tamil) or Jhinga fry (prawns fry). My husbands and every bodies, who love seafood favourite is Era varuval (Prawns fry). In each house they do it differently with the spices. In fries especially, oil usage is more as, we are roasting it, oil is needed, but it is up to you to use or avoid it.